Make yourself at home in one of the 33 air-conditioned rooms featuring refrigerators and minibars. Computers with complimentary wired and wireless Internet access are provided to keep you connected, along with 44-inch LCD televisions for entertainment. Partially open bathrooms with showers feature designer toiletries and bidets. Conveniences include phones, as well as desks and separate sitting areas. With a stay at Seoul 53 hotel Insadong, you'll be centrally located in Seoul, convenient to Changdeokgung Palace and Gyeongbok Palace. 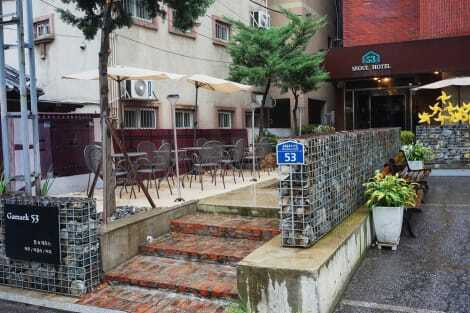 This hotel is close to Seoul City Hall and Namdaemun Market. Cullinan Hotel is a contemporary hotel placed in the heart of the city. Guests enjoy elegantly furnished rooms equipped with personal computers and free internet access. This modern building is centrally located just an 8-minute walk from the popular Insa-dong Street. The vibrant Jonggak Youth Street is only a 9-minute walk while Gyeongbok Palace is just a 5-minute drive away. The lively shopping streets of Myeongdong and Namdaemun are both a 12-minute drive away. Featuring sleek décor, the beautiful rooms at Hotel Cullinan are fitted with a flat-screen TV, seating area and tea/coffee making facilities. The spacious en suite bathrooms feature a bathtub and a bidet. A 24-hour front desk will be happy to assist guests with luggage storage space and free private parking facilities. Heating facilities are available throughout the hotel. Hotel ibis Ambassador Seoul Myeongdong - Award Winner! ibis Ambassador Seoul Myeongdong is located in the heart of the trendiest shopping district in Seoul, with major department stores, restaurants, cafes and nightclubs nearby. The hotel features 280 contemporary style rooms with LCD televisions as well as a restaurant, sauna, gym, business centre, coin operated laundry and parking. Major banks and businesses also have their headquarters in the area and the hotel has two meeting rooms available for up to 40 delegates. Make yourself at home in one of the 181 air-conditioned rooms featuring refrigerators and flat-screen televisions. Complimentary wireless Internet access keeps you connected, and cable programming is available for your entertainment. Bathrooms have complimentary toiletries and hair dryers. Conveniences include desks and electric kettles, and housekeeping is provided daily. Make yourself at home in one of the 136 air-conditioned rooms featuring refrigerators and LCD televisions. Complimentary wireless Internet access keeps you connected, and cable programming is available for your entertainment. Partially open bathrooms with showers feature bidets and hair dryers. Conveniences include safes and desks, and housekeeping is provided daily. 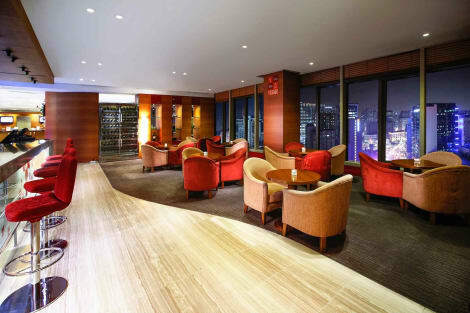 Enjoy a meal at Prince Cafe or snacks in the hotel's coffee shop/café. Continental breakfasts are available daily from 7 AM to 10 AM for a fee.